Fit fam, body goals, slay body.. the list goes on.They are words you've probably heard or used to describe people who are fit. It's such a great thing that people are fast becoming aware of the need to be fit and physically active in order to stay healthy. Now, with the rise of fitness trainers, the game has risen to a whole new level..
1) Did you always want to be a fitness trainer or it just happened? What’s your story? TOLA: I’ve always been into fitness. Did I think I’d be a personal trainer? no. I was to go to university to study Physiotherapy and be a Physiotherapist (which is what I’m studying at university now), however, circumstance meant I had to wait a few years. 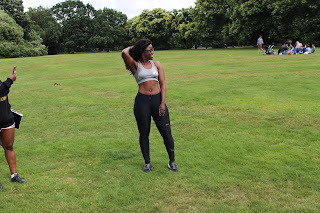 I knew I loved anatomy and I enjoyed helping others to reach to find their fitness, so I decided to study Personal Training and became a freelancer, it turned out to be a lot of fun, confusing to my African aunties, but they soon accepted it. It’s been a very interesting journey which I must say has made me a much stronger person and business woman. 2) Tell us what you love most about working out and training others? 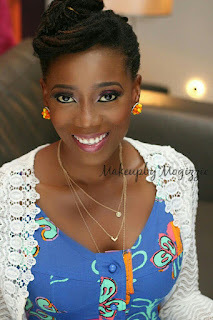 TOLA: The Security, The confidence, the change in how they view themselves. Truth be told, working as a personal trainer, you really get an insight into your clients life, how they reason, how they view themselves and much more. I’ve been blessed to have been able to touch people’s lives. Overall, it brings be great joy to help clients, not only their physical being, but their mental state and belief. I am truly grateful for that opportunity. 3) What’s the greatest lesson you’ve learnt from being a fitness trainer? 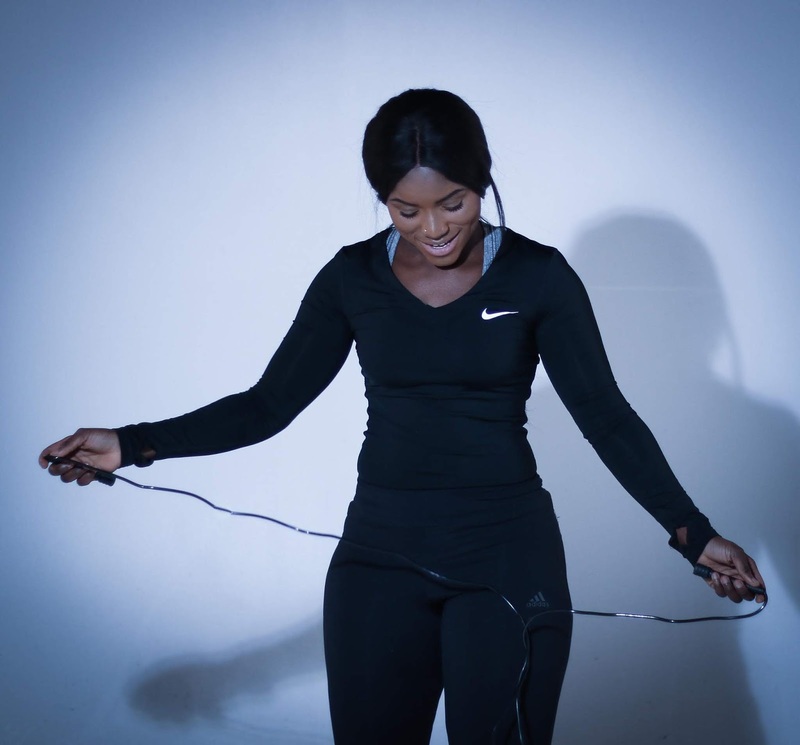 TOLA: As a personal trainer, I’ve developed discipline, a lot of people look up to you for motivation and you have to set that example and be the role model they need. I have learnt to identify and unpick excuses (excuses can get very creative) and when you need to apply tough love. 4) What’s one junk food, you love but get to have once in a while? TOLA: I would say Kinder bueno chocolate bar. It’s genuinely my weakness and I get upset when anyone buys it for me. I would tell them off and ask why they would do such thing to me! lol. 5) What’s your favourite workout routine? TOLA: I love weights! I truly enjoy lifting weights and would incorporate skipping and burpees into rest time (my clients hate me for this). I’m not a big fan of cardio but this way, I don’t necessarily have to do those long cardio routines. I like my fitness sessions to be no longer than 45 minutes to an hour. Why are you trying to get fit? Whats your fitness goal? Is it realistic? How do you plan to get fit? What research have you done on your goal? What do you find may be your obstacle to getting fit? Once you can answer these questions, you’re halfway there, talk to personal trainers, ask around, don’t be scared to ask! We are here to help. TOLA: To my 20 year old self, I’d say be easy on yourself, have faith and focus on your path, don’t be distracted or demotivated by what others have going on because baby girl, it will all work out just fine! And oh yes! you’re going to need that cardio after all! Work hard, but remember to take a break and see the world! You’ll be surprised how different your vision can be. 8. What’s on your mind this Wednesday?